Beveridge & Diamond is proud to sponsor the Defense Research Insitute's Annual Toxic Torts and Environmental Law Conference, taking place in Nashville, TN, from February 28 to March 2. The conference brings forward the latest science and regulatory developments for both litigators and counselors to learn the new hits and old standards. 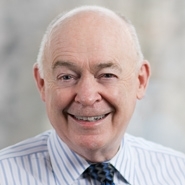 Principal John Cruden (Washington, DC) will speak in a presentation titled "Historical Perspective on Environmental Statutes and the Implications for the Modern Lawyer," which will take place from 8:10am to 9:00am (CST) on March 1. 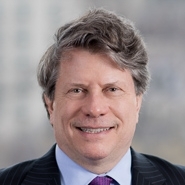 His presentation will survey three decades of the major federal environmental statutes, their effect on federal-state roles and the common law, and what to expect ahead. Later, Principal Jimmy Slaughter (Washington, DC) will speak on a panel titled "CSI Nashville: Environmental Forensics," which will take place from 10:10am to 11:00am (CST) on March 1. This panel will explore the latest forensic tools for assessing fate and transport of contaminants, including compound-specific isotope analysis, molecular biology techniques, and the best science for vapor intrusion cases.